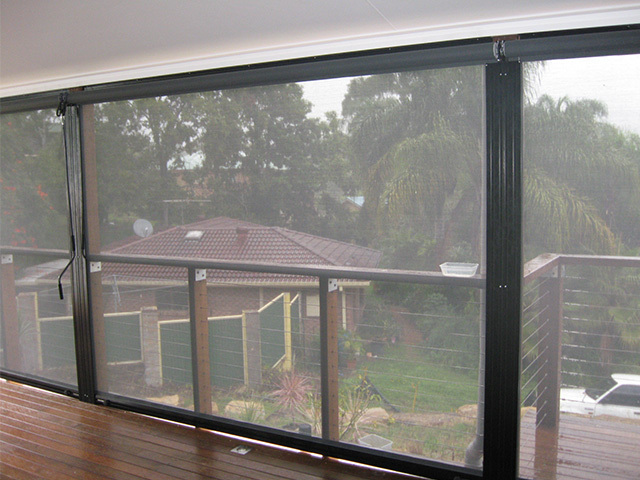 Focus Cover Systems brings true quality to the outdoor awning/blind industry in Queensland. We go the extra step and add our own warranty to every window awning or outdoor blind we install. Our measure-quote-install process makes every application an ideal fit for your home or business. We aren’t afraid to go the extra step and we do. From first call to final installation, we’ll meet you with a level of friendly professionalism that will exceed your expectations. Our friendly representatives will help you choose the fabrics, colours, and applications that will best complement your landscape, your home, or your business and bring you the maximum benefit you can get from any blind installation. With 25 years experience in manufacturing, our founder Scott Petrie knows how to make things work. At Focus Cover Systems, that’s just what we do… and we make your plans work for you. We are experts in finding cost effective blind and awning solutions that turn your outdoors into comfortable living spaces. Channel x blinds can be fitted on most outdoor ares, with its lockable bottom bar makes a sturdy awning. A guide wire blind has stainless steel guide wire which the blind runs on, the wire is guide for the blind to run on. Cafe Blinds are a great way of inclosing your outdoor area and Turing it into a indoor area, creating a outdoor room when you need. Auto Guide Blinds are the perfect awning for windows to block out the sun or shade for your windows. A Straight Drop awning that suites Pergolas and most outdoor areas, easy to use and retracts using a spring. Are a straight drop awning that has no cables or channels, that comes with either stainless steel brackets or power coated brackets. In partnership with Focus cover systems we offer state of the art Automation for your outdoors blinds, from climate senors to remote controls and wall timers. From the biggest to the smallest projects can we can help you with design and fitting of your pub,club or shop. North lakes, Jimboomba, Mount Gravatt, Shailer Park, Ormeau, Waterford, Bulimba, Bahrs Scrub, Redcliffe, Wellington Point and Redland Bay, Greater Brisbane, Gold Coast, Sunshine Coast, Warwick and NSW. Just a quick note to let you know about the difference your blinds have made to our lives. You and your staff have been outstanding during the measure and installation process – always arriving on time, and working with a minimum of fuss or mess. I really appreciate your efforts and professionalism. You guys are always welcome to come over for a beer on my “new” entertainment area! At Focus Cover Systems, we shield you from more than just the sun. We go the extra step and add our own warranty to every window awning or outdoor blind we install. Our measure-quote-install process makes every application an ideal fit for your home or business.